The Railway Bar is a family run pub located in the heart of the Main Street of Bundoran. No fuss- just class, live music, and the best pint of Guinness in Bundoran. 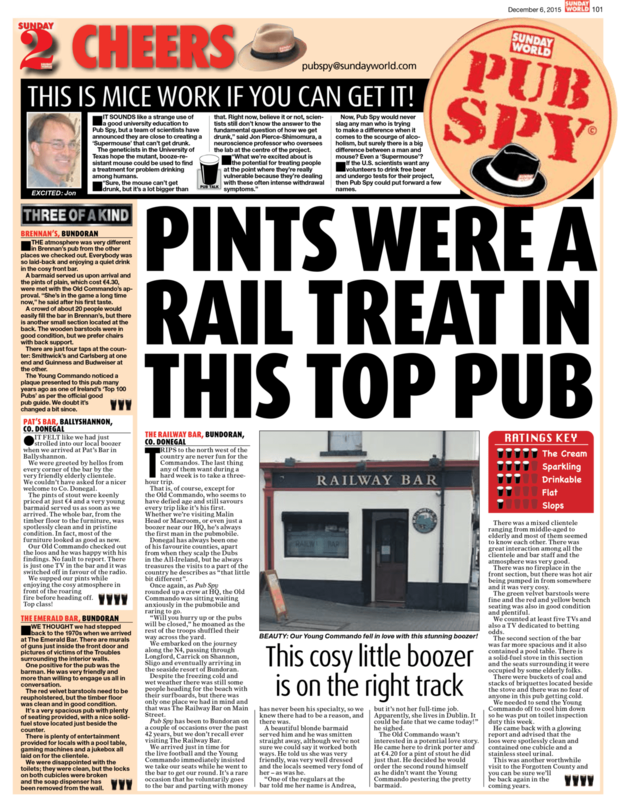 Read our Sunday World review – for full-size image click here.